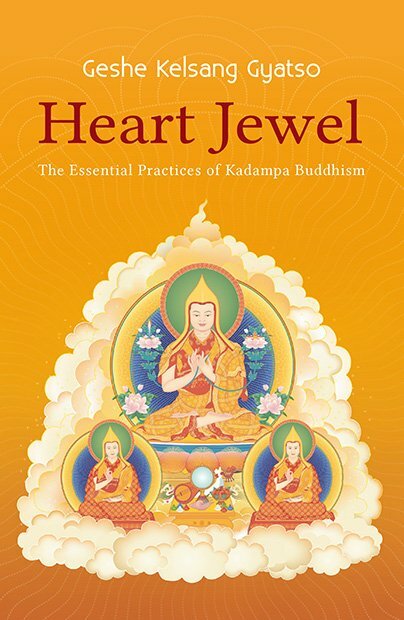 This book is an essential manual for anyone who aspires to be a sincere practitioner of Kadampa Buddhism. 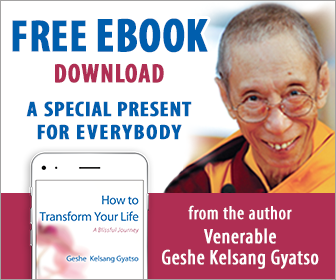 It contains two essential practices that are practiced daily by Kadampa practitioners around the world. The first, the Guru Yoga of Je Tsongkhapa, is a powerful method for receiving profound blessings and laying the foundation for making genuine progress on the spiritual path. The second, Relying upon the Dharma Protector, is a special practice for removing obstacles and creating favorable conditions for our spiritual practice by relying upon the Wisdom Buddha, Manjushri. Dorje Shugden does not help only Gelugpas; because he is a Buddha he helps all living beings, including non-Buddhists. The sun benefits even those born blind, giving them warmth and ripening the crops that become their food; but should they gain their sight, how much more obvious its benefit would be! In a similar way, although Dorje Shugden protects even those who do not make an effort to rely upon him, when our eyes of faith in him open and we rely upon him sincerely we will gradually become more aware of the help we receive from him. If we rely sincerely upon Dorje Shugden, he will arrange the conditions that are most conducive for our Dharma practice but these will not necessarily be the ones that we ourself would have chosen! Dorje Shugden will bless our minds to help us transform difficult situations into the spiritual path, and he will open the wisdom eyes of his faithful followers, enabling them always to make the right decisions. Although physically they may find themselves alone, inwardly those who put their trust in him will never be apart from a powerful ally and a wise and compassionate guide. And your mind is the synthesis of all Buddha Jewels.